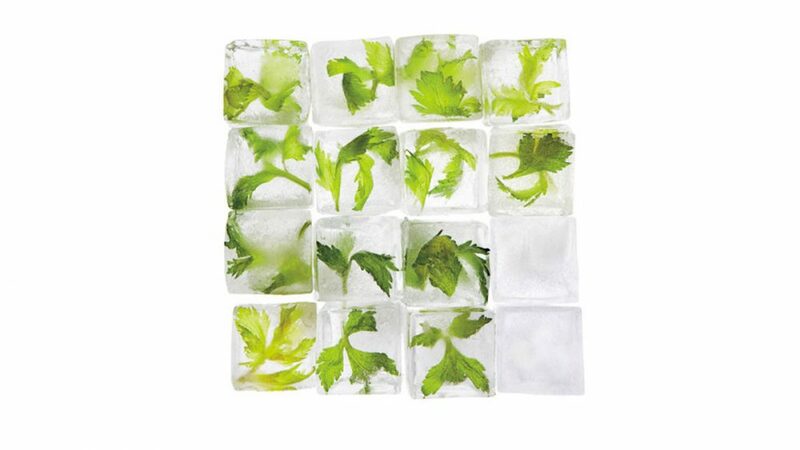 Celery ice cubes is a great idea from Martha Stewart. The next time you chop celery, don’t throw away the leaves. Quick, easy, and a beautiful addition to any holiday season spread. Mix and match with mint leaves, basil leaves, or chips of cucumber for maximum visual effect. 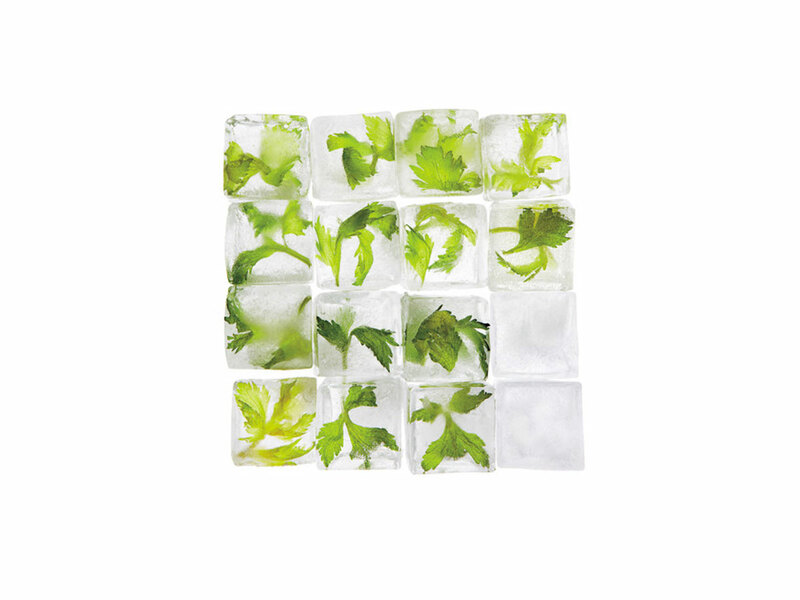 Celery leaves are delicious, nutritious, and packed with intense celery flavor. Prep them like you would any herb: minced, coarsely chopped, or left in their true, whole-leaf form. Toss the tender leaves with salad greens and vinaigrette. Throw them into stir-fries, stocks, soups, and sauces. They’re great in a pesto, as a garnish, or let them shine as a core part of homemade celery salt. Yum!